Today we'll continue exploring voicings... but going back to the basics! Because it's really nice to talk about open, closed, added-tone and what-not chords but if you don't know which notes you can or cannot use, then you might end up a bit frustrated. The first rule I want to tell you about concerns the use of the third and seventh of a chord and, hence. of a voicing. In the previous articles I've mentioned the harmonic coloration of the voicings, so I think it's important to go back to this notion and recall what makes the nature of a chord. In article 4 you saw that the nature of chords (and voicings, which is what interests us here) changes depending on the third, in the case of a triad, and the seventh, in the case of four-note chords. It's these degrees of a chord that define whether the chord is major, minor, major seventh, minor seventh, or dominant seventh. So it's the presence of the third and, eventually, the seventh that will be determinant characterizing your voicing and, hence, its quality and harmonic role. This obviously also applies to the chords and voicings whose third or seventh is replaced by another degree. 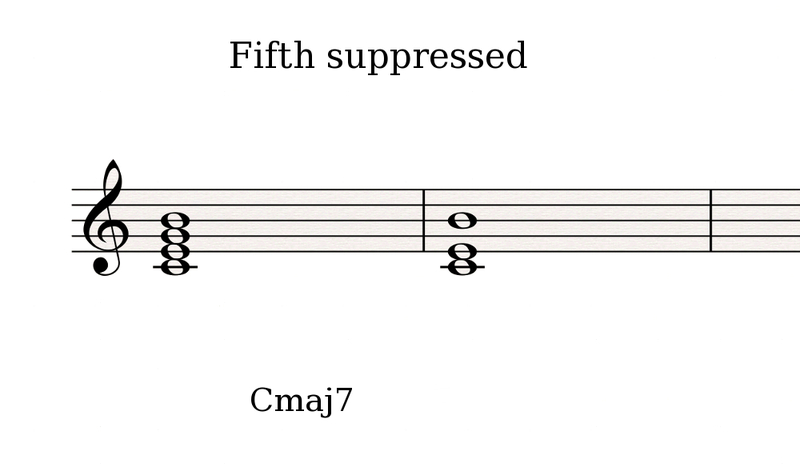 Consequently, in a sixth chord, it's the third and the sixth that will define its nature, whereas in a sus4 chord it will be the fourth and the seventh. This might seem obvious to those of you who realized by yourselves that chords are defined by their thirds and sevenths or their eventual replacements. But it if I'm telling you about it today it's not to remind you of this obviousness, but rather to call your attention to the mirror effect that results from this. Indeed, the importance of these two degrees allows you to do without others in very specific cases. Like the root and the fifth. Especially the latter, since it is already very present as an overtone of the fundamental. 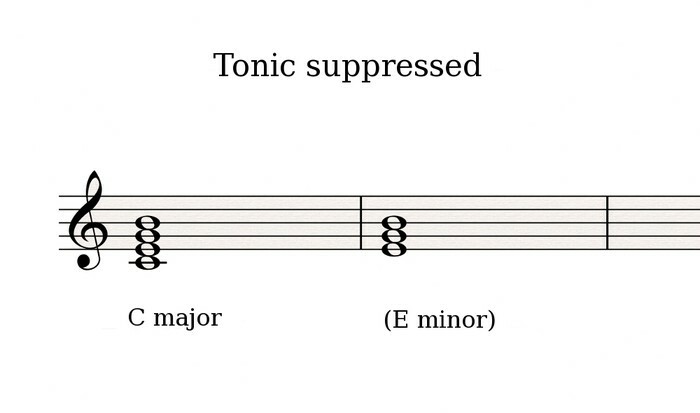 As for suppressing the root note, you will need to pay special attention to the harmonic context so that it is well defined. In this regard, I invite you to reread articles 17 to 21 on modulations. While you can do away with some basic notes of a chord, there are some others you should try to avoid when adding notes. The fourth, for instance, has a natural tendency to weaken the tonic. So you should try to avoid using it on tonic chords, and reserve it for the sus4 dominant chord. A chord which, by the way, ought to be used knowing exactly what you are doing because it shatters the usual tension and resolution formula (refer to article 29). You should also avoid the leading-tone in the II-7 substitute subdominant chord, because it will create a tritone with the subdominant (the fourth degree of the scale).